August 3, 2017 9:30 A.M.
Ontario is giving women more choice over their reproductive health by making Mifegymiso, a safe and effective medical alternative to surgical abortion, available at no cost. 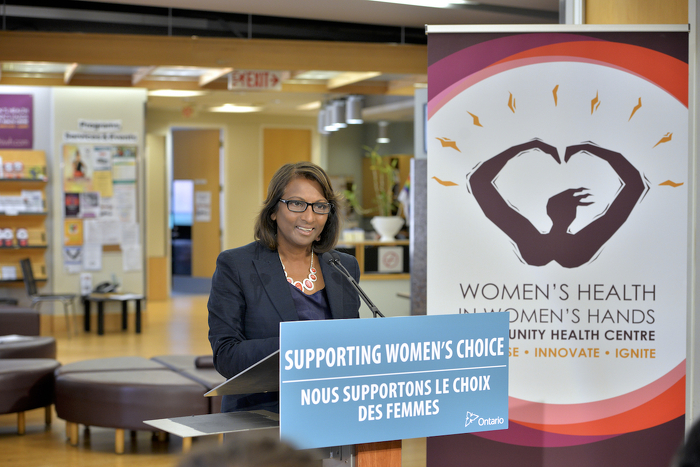 Indira Naidoo-Harris, Minister of the Status of Women, on behalf of Dr. Eric Hoskins, Minister of Health and Long-Term Care, was at Women's Health in Women's Hands Community Health Centre in Toronto today to announce that, as of August 10, 2017, women with a valid health card and prescription from their doctor or nurse practitioner will be able to get the drug for free at participating pharmacies across the province. Mifegymiso is taken to medically terminate an early pregnancy. It is a safe, effective and non-invasive alternative to a surgical abortion that women can administer themselves. By making it available at no cost, Ontario is giving women more autonomy around their reproductive health, removing a financial barrier, and increasing equity of access to abortion -- particularly in rural and remote areas. Ontario is increasing access to care, reducing wait times and improving the patient experience through its Patients First: Action Plan for Health Care and OHIP+: Children and Youth Pharmacare - protecting health care today and into the future. Mifegymiso is a combination of two drugs, mifepristone and misoprostol, used to medically terminate early pregnancies (up to 49 days from the start of the last menstrual period). It is considered a safe and effective alternative to a surgical abortion. Mifegymiso is the only brand of the drug currently approved by Health Canada to be marketed in Canada. Prescribers and pharmacists will have access to appropriate training. This document was published on August 03, 2017 and is provided for archival and research purposes. 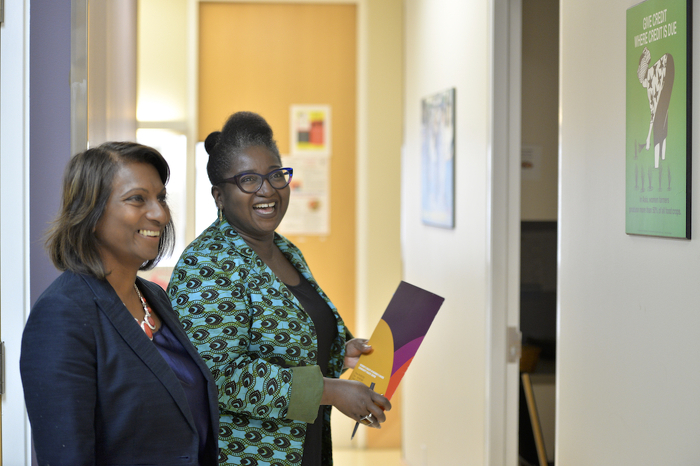 Minister Naidoo-Harris speaking with a Notisha Massaquoi, Executive Director, Women’s Health In Women’s Hands Community Health Centre. Minister Naidoo-Harris speaking at a podium.